In France’s sunny "pink city", ancient palaces show world-class art and crowds sip pastis and eat cassoulet and top-notch tapas at lively food markets. Ask French people where they would prefer to live and one answer that keeps coming up is Toulouse. Some 10,000 people settle here each year, drawn to the romantic ville rose, by the sunny southern climate and the lively bistros and bodegas serving delicious regional cuisine alongside tasty Spanish tapas. 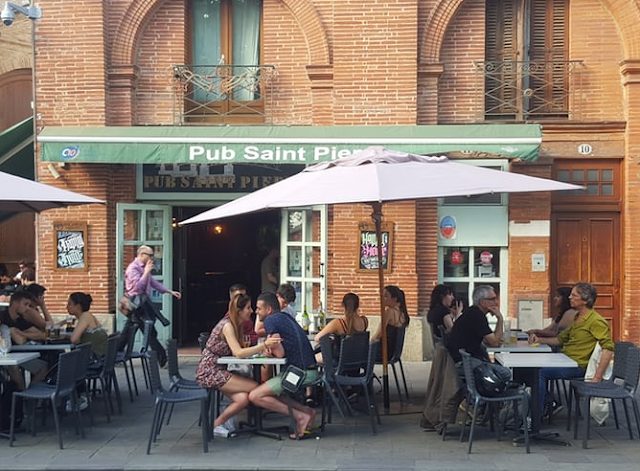 A Latin spirit pervades the city just 100km from the Spanish border, and the laid-back toulousains could not be more welcoming. Many of the distinctive red-brick palaces and mansions in the historic centre house world-class museums, and with a 100,000-strong student population, weekends turn into one long fiesta. Join them sipping a pastis apéro on the grassy banks of the fast-flowing Garonne river, or dancing salsa into the early hours. Place du Capitole. One of the most majestic squares in France, the Capitole is bordered by grand buildings made from Toulouse’s hallmark rose-red bricks, with one side dominated by the pastel facade of the 18th-century city hall. It’s open to the public unless there’s a wedding on, and a grand marble staircase leads up to the sumptuous Salle des Illustres, covered with flamboyant frescoes. The square is the heart of Toulouse, packed at all hours, with locals vying to get a table on the terrace of Café Le Florida. Quartier Saint-Cyprien. This neighbourhood is a quiet oasis on the other side of the Garonne from the town centre. Start off with a plate of oysters at Madame Ginette’s stall outside the covered food market, then wander across to the Matou, Europe’s biggest poster museum. Then tour the avant-garde art in Les Abattoirs, the city’s former slaughterhouse.